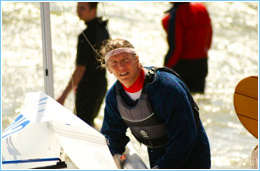 Edge Sails is run by the successful and professional sailmaker, Jon Clarke. With over 20 years experience in sailmaking and 40 years racing experience, EDGE Sails has the knowledge to provide a fantastic service. Having won 100+ Open & Championship events in the following classes: Solo, Enterprise, GP14, Wayfarer & Mirror, Jon knows the importance of a fast sail. With low overheads and no VAT applied to our sails, we can typically offer 30% lower pricing than the competition. EDGE creates racing sails for a wide range of classes and caters for all levels of ability, weights and preferences. Specialist construction depending on class - cloth, composite, laminates etc. 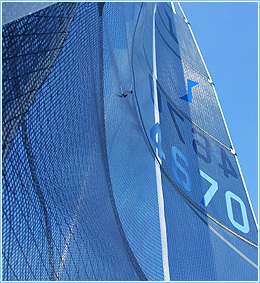 EDGE sail loft is ISAF approved and your sails come fully measured and race ready. Jon is also available to offer tuning and racing advice. Just call 07736 804 915 anytime. Our cruising sails are constructed in Dimension Polyant Dacron with triple stitching & silicone glue - this helps avoid ageing black seams! With stainless hardware & double webbing reinforced corner patches & reefing points, our cruising sails come with a 5 year guarantee. 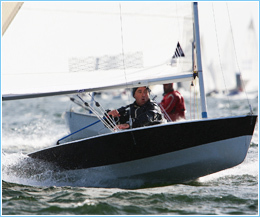 All popular classes are catered for plus keelboats up to 26ft. With hundreds of happy customers over the years, Edge Sails can help with dodgers, boom tents, sail covers & UV strips. We are always happy to talk through the repairs or alterations you may have. We cater for all sorts of sails including dinghy, yachts and windsurfers. We are insurance approved with a fast turnaround (usually while you wait). 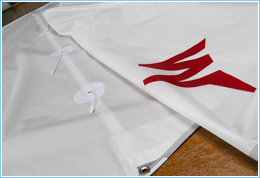 All racing sails include numbers, insignia, battens, tell tales & sail bag. All cruising sails include numbers, insignia, battens, tell tales & sail bag. Optional extras are reefing points (£45 per row) and foam head buoyancy (£45). If your class is not listed here, please call me for a quote.